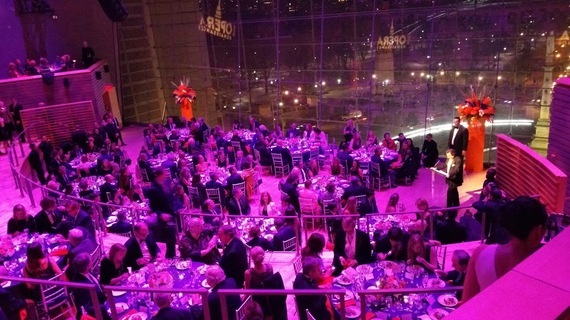 Every one of the Rose Theater's 1,100 seats was filled for a opera concert produced by NYCO Renaissance, an effort to revive the defunct New York City Opera, for a two-hour concert and later a gala dinner celebrating the life of the opera's late Maestro Julius Rudel. My entrepreneurial endeavors to build a NYC hotel had led me to this beautiful hall at Jazz in Lincoln Center in the Time Warner Center - but I'll come back to that. The extraordinary Maestro Rudel was General Director and Principal Conductor of the New York City Opera from 1957 to 1979. 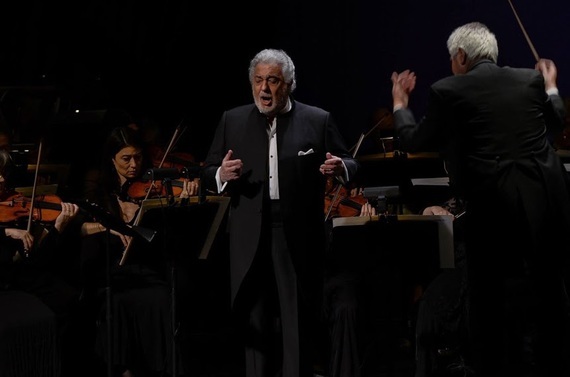 Later, following his successful debut at the Metropolitan Opera with Placido Domingo as "Werther," Maestro Rudel conducted hundreds of opera performances in the world's leading opera houses and as well as many orchestral performances all over the world. He guest-conducted 268 performances at the Metropolitan Opera alone. 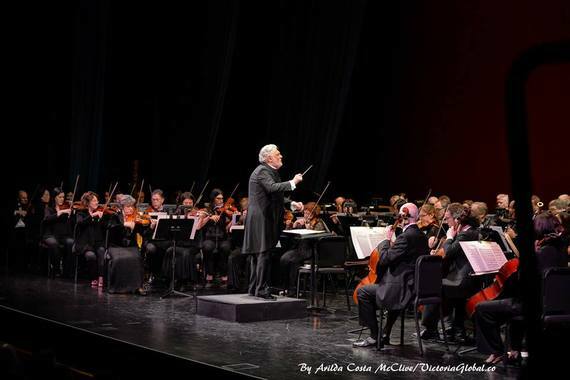 Maestro Rudel was a certified star-maker - he gave to the young Placido Domingo the plum title role of the 8th century Spanish king in Ginastera's Don Rodrigo at the 1966 opening of Lincoln Center as the new home of the New York City Opera (NYCO). It is no wonder then that Mr. Domingo honored his mentor passionately in his speech after he sang and later conducted and directed the orchestra. His son Alvaro was with him backstage. With just $17 in his pocket, Julius Rudel moved to New York at age 17 from his home in Vienna, Austria, when the country was annexed by Hitler in 1938. He studied conducting on full scholarship at Mannes College of Music, then started his career at NYCO as an unpaid rehearsal pianist and general factotum. In 1944, he made his conducting debut with the company. He rose through the ranks to become the top honcho of The People's Opera. 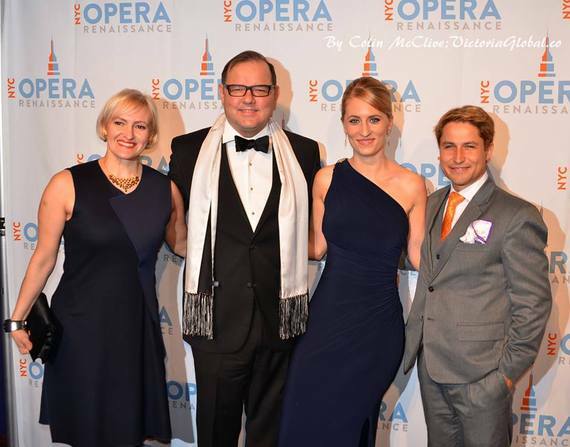 Combining European tradition with innovation, he turned NYCO into the most influential and daring opera company in the U.S. After just 15 months of being its director, Rudel surprised the world of arts by NYCO offering of first of three full seasons of American opera in inventive productions. "There are few among us who can remember a time when Julius Rudel wasn't a fixture on the New York cultural scene. For opera fans of my generation, it seemed as though he had always been there, and always would be. 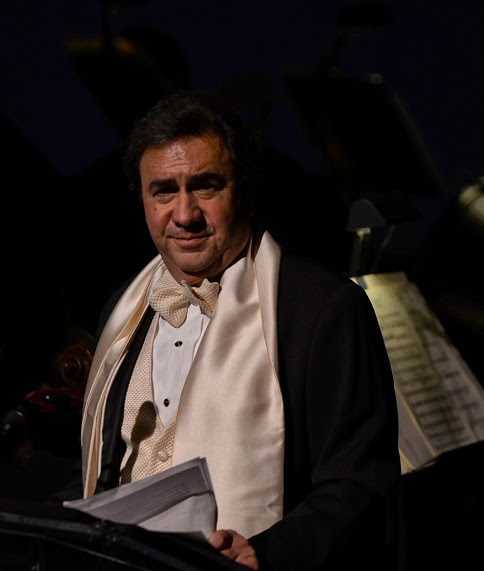 We all remember him as a formidable and versatile musician, with an uncanny ability to recognize and nurture nascent talent, and as the artistic and organizational leadership of New York City Opera. What is not often remembered is that without Maestro Rudel, there would have been no City Opera to lead." Many artists who built their careers under the influence of the late Maestro were present that night to celebrate his life and perform for him in thanksgiving, and among them is Christine Goerke. Her Verdi that night captivated me and stood out for me as a luminous performance that elegantly complemented Placido Domingo's brilliance. Michael Corvino's baritone that night was rich and powerful. A film tribute to Rudel was shown at the middle of the program, following moving words by Maestro Rudel's son Tony. Late in the program came the world premiere of "The Waking", a concert aria on the poem of Theodore Roethke sung brilliantly by Kristin Sampson. The piece was Tobias Picker's gift to NYCO Renaissance to "celebrate its plan to revive" The People's Opera, and its "waking" from an "era of sleep". 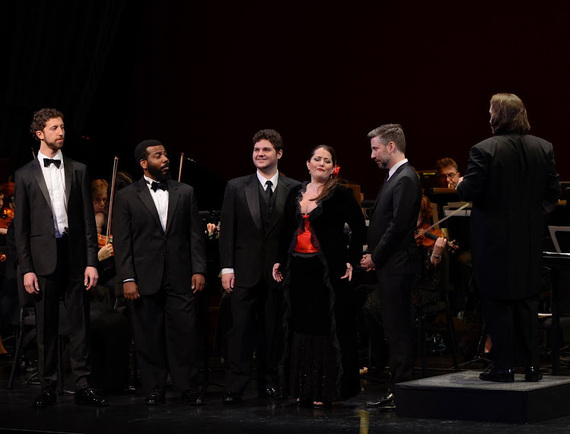 Picker further said, "The voice of the poem is that of NYCO itself - the People's Opera - with Julius Rudel, countless artists and devoted patrons in the 'waking' of its eighth decade." Roy Niederhoffer, NYCO Renaissance Chairman of the Board, reminisced, "When I first arrived in New York City after graduating from college, the first two things I bought were an upright piano and a subscription to New York City Opera. 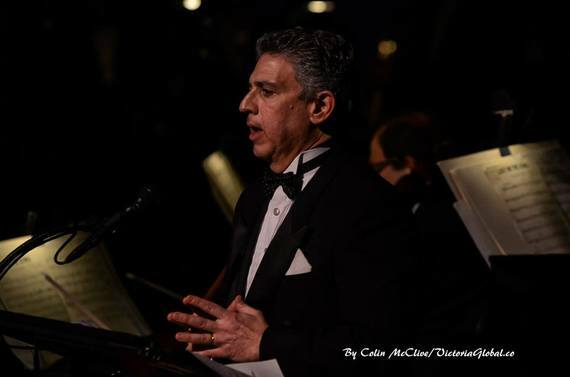 Long before philanthropy was a pursuit, or even a remote possibility, long before I could afford to be a major donor or a Board member, I was a devoted fan of City Opera." He further adds, "The performances I saw there as a young man created an excitement I could find nowhere else. I remember the brilliance and passion of the artists (many of whom were just beginning their star careers), the innovative productions (sometimes quite minimal) that took my breath away again and again, the diverse repertoire from Handel novelties to rediscovered 'classics' and even musicals. And what other company would give me the opportunity to see an opera on a weeknight and play softball with members of the cast that weekend? 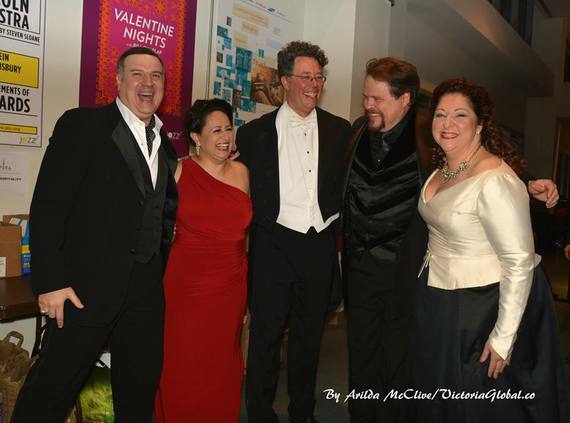 City Opera was vibrant, authentic, and accessible, a family of artists, staff, management, and audience that I was excited and honored to be a part of." The champagne cocktail before the concert enabled everyone to meet and greet each other as well as take photos with the artists and performers. 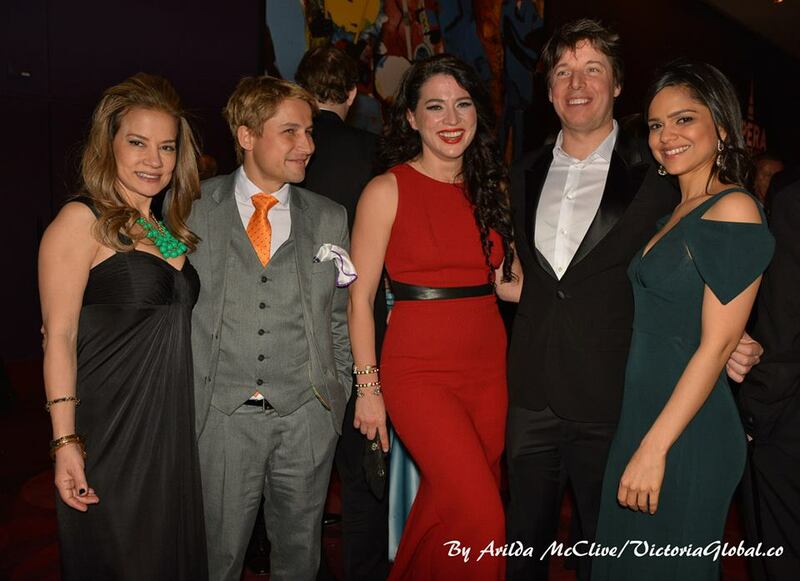 Many aspiring singers and composers also attended the concert. The spirit of the evening was "what's the latest?" on the revival of City Opera. We had our dessert at the spacious Ertegun Atrium after our hearty dinner at the Appel Room where we heard inspiring speeches from Michael Capasso and Roy Niederhoffer. The decorations were festive orange and blue, reflecting New York City (and NYCO Renaissance's) colors, and the magnificent view of Central Park and Columbus Circle provided an inspiring backdrop to celebrate NYCO Renaissance's plan to bring back The People's Opera. 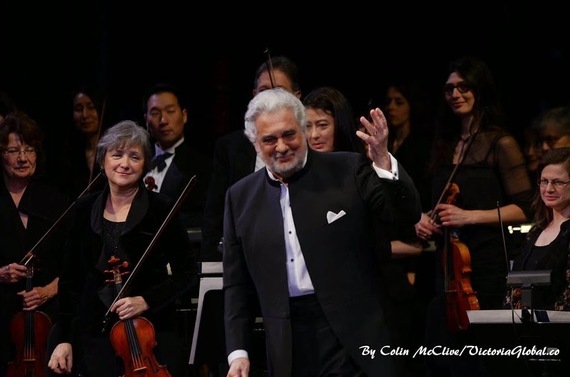 Roy told the audience that the company's six-opera season will be announced later this year. There are clearly many many people (Julius Rudel undoubtedly included) who want to see The People's Opera flourish once again. And what better location than the beautiful Rose Hall to host a beautiful evening and a compelling new opera company? Later in the night, I was having my picture taken when I saw a mother and her three siblings fighting for the stage with me. They are the entrepreneurial Carpenters living in the Plaza Hotel, and are known for playing and selling Stradivarius violins. We chatted for a moment, and found a lot of things in common between David, Sean and Lauren Carpenter. The Carpenters own Carpenter Fine Violins, a dealer in rare stringed instruments, with David as CEO and Lauren as COO. Their brother David Aaron is the CFO. Sean and Lauren are both accomplished violinists, while David is a world-renowned violist - they perform together often. I am eager to see how they can perform in my hotel one day. Joshua Bell, the Grammy Award-winning violinist and conductor, was also there to lend support. I last saw him perform "The Man who Invented Beer" with my mother a couple of years ago. He has been a frequent guest at my home, The Soho Loft, for the last decade. Bruce Lipnick, a patron of the arts for decades, was also at the gala concert and told me that he strongly supports the re-opening of "The People's Opera". He believes "it is part and parcel of New York City's legacy to its people. Its quest to let talented artists grow and hone their craft is a noble endeavor". He owns a startup called Ver-on-Demand which collects videos of opera, ballet, musical concerts and other live performances, allowing viewers to enjoy them in the comforts of their own homes. He will be offering it online to the general public by 2015 on a subscription basis. 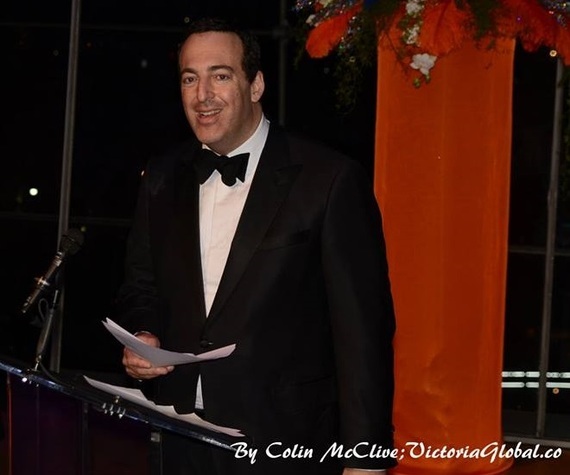 All these things inspired me to launch and organize fundraising events for the revival of this important opera company at my hotel on Fifth Avenue which I intend to become a premier venue supporting the arts. Beyond this, I recently agreed to be the patron of a young singer and produce her performance at Carnegie Hall. To further the cause of the arts, I am planning weekly musical gatherings at our friends' Upper East Side apartment to entertain and support artists. 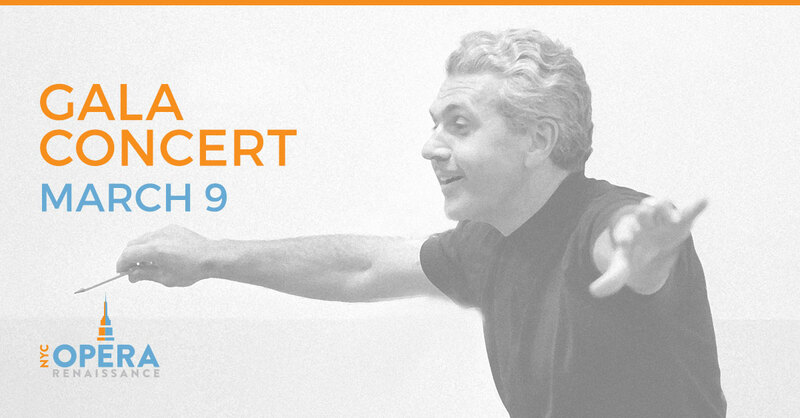 I encourage you to join me as we help support the arts in New York.